Join us for a lively repartee between UD professors, plant gurus, gardeners, and good friends Drs. John Frett and Bob Lyons as they describe and illustrate many of the perennials, tender perennials, tropicals, and woody plants offered in the UDBG catalog and at the sale. There will be a number of flowering and foliage-interest plants on display at the lecture. 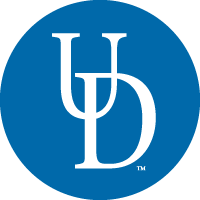 Registration is highly recommended for all events to ensure a seat; please email botanicgardens@udel.edu or phone 302-831-2531. Send payment to: UDBG, 152 Townsend Hall, University of DE, Newark DE 19716. To register and pay via credit card using our online form, click here. All events are held in Townsend Hall Commons unless otherwise noted. Prepayment only required where stated.